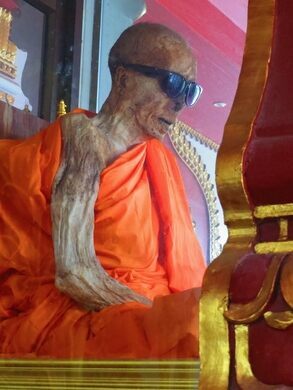 After he died at 79 years old while meditating, the Buddhist monk Luang Pho Dang was closed in a glass coffin and left in his mudra pose with his legs folded, lotus style. Over 20 years later, his body remains incredibly well-preserved. 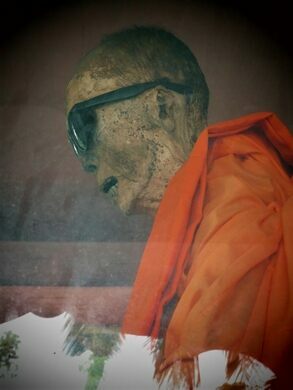 In death, the self-mummified monk is housed in the charming Thai town temple of Wat Khunaram on Ko Samui Island in Thailand. 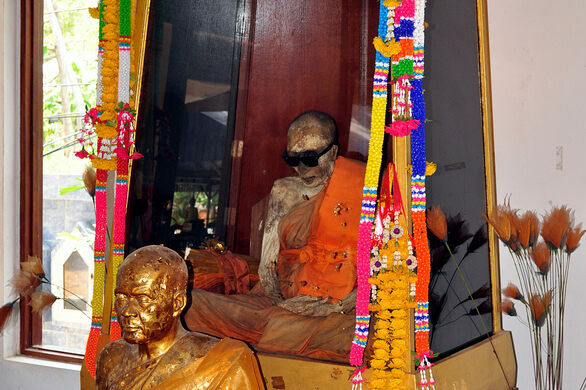 Monks at the temple put sunglasses over the mummy’s sunken, empty sockets in order to make him less disturbing to visiting children and others who come to pay their respects. Radiographs of the mummy have revealed that he still wears his dentures and that in death he has become a hatchery for a native gecko species. The lizards lay eggs in his body cavities, beneath his leathery skin. His brain tissue and organ systems are remarkably intact, although small in size due to dehydration. 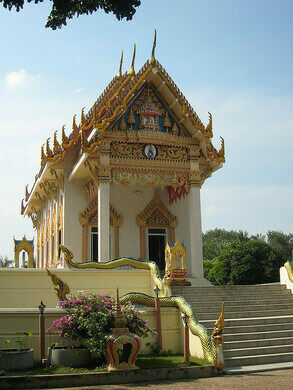 South of Route 4169 between Th Ban Thurian and Th Ban Hua.